Nestled in a lush pocket of Tuscany in the Upper Tiber Valley, Anghiari is a wonderous medieval town, few have yet to discover. 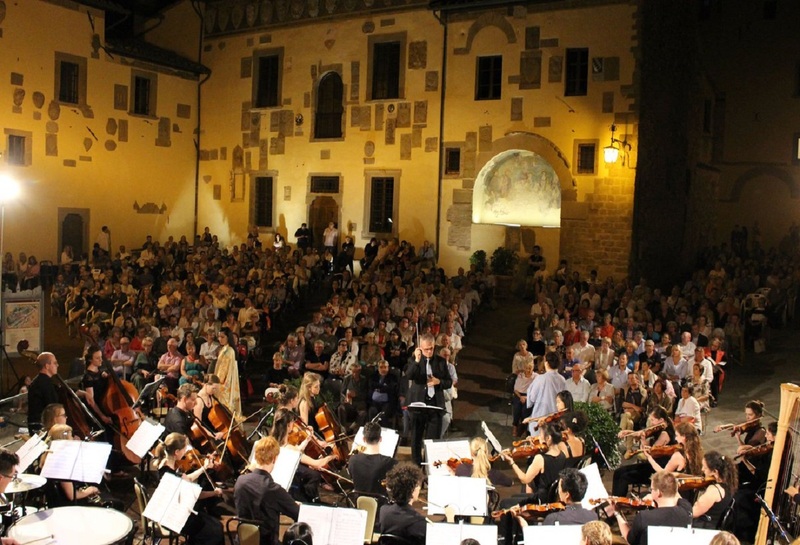 It is also the home of the amazing Anghiari Music Festival held each year near the end of July. 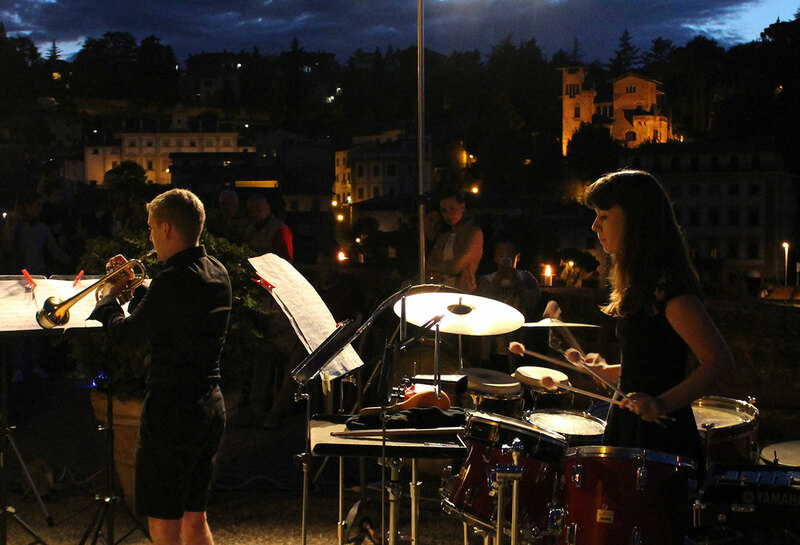 Set within the stone walls of this charming village and at venues throughout the Valtiberina Valley, each year Southbank Sinfonia welcomes 33 of the world’s most promising graduate musicians to participate in this week-long amazing orchestral experience. 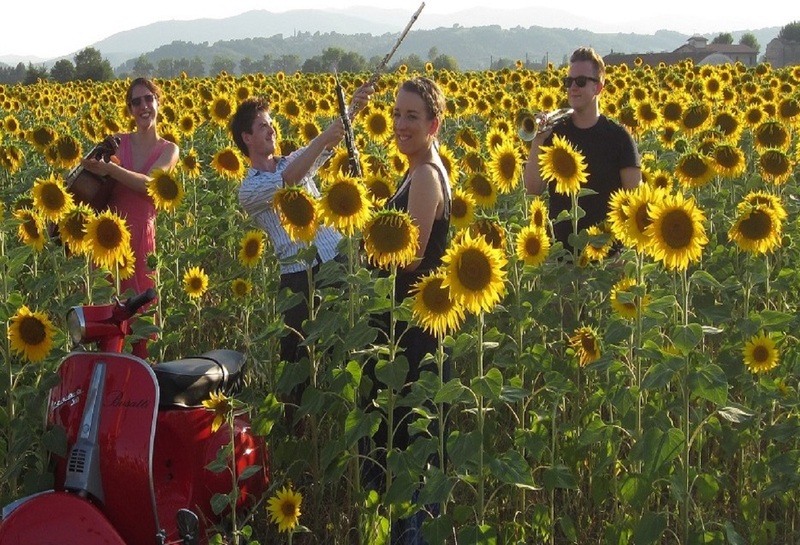 As residents of this area for 8 years, now living in the USA (and IL DIVINO Extra Virgin Olive Oil owners), each year we offer the opportunity for a small group of music and historic Tuscany lovers to experience this amazing week with us. 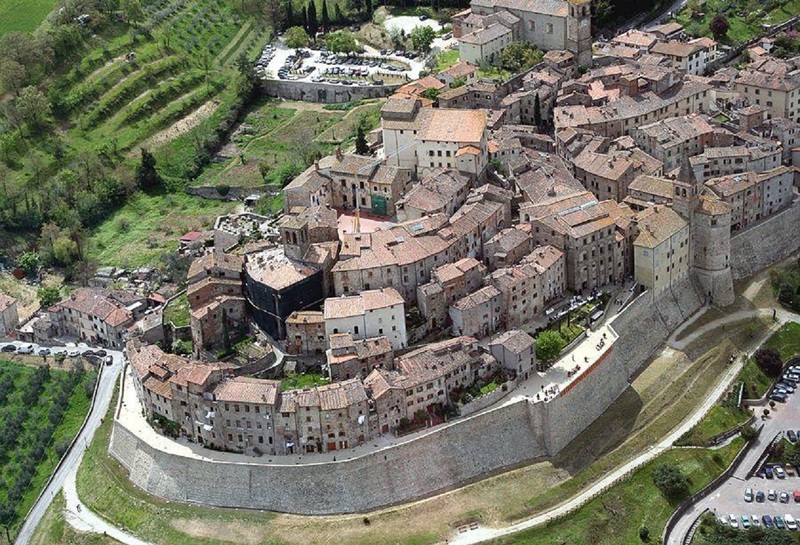 While not only attending daily music festival events, you will see so much more in this incredible area of Tuscany and Umbria. 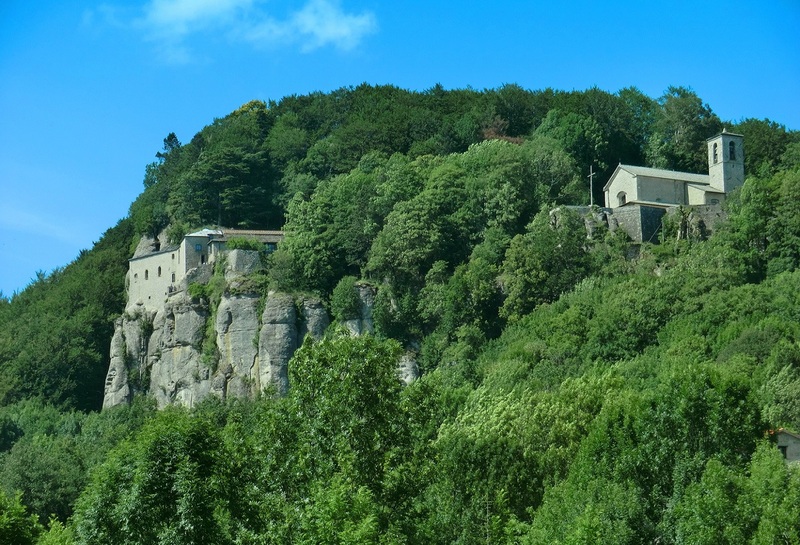 As a region of Italy famous for St. Francis of Assisi, we will visit the charming monastery of Chiusi della Verna where history reports St. Francis first received the Stigmata. 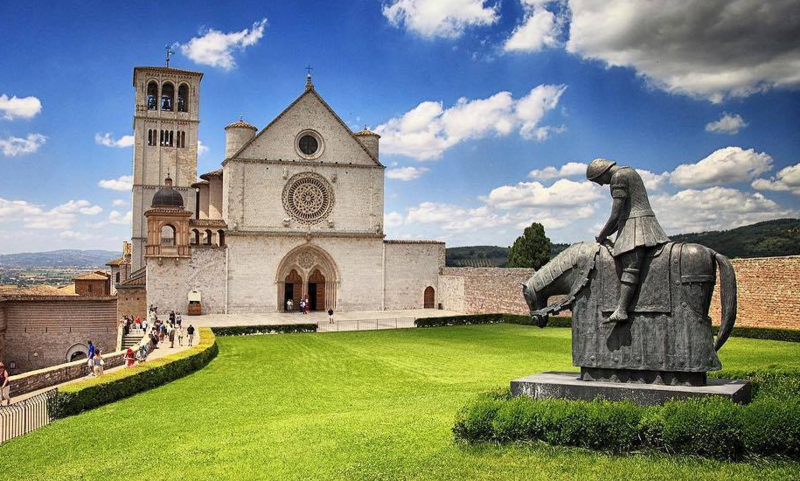 We will also visit the breathtaking town of Assisi where St. Francis died. 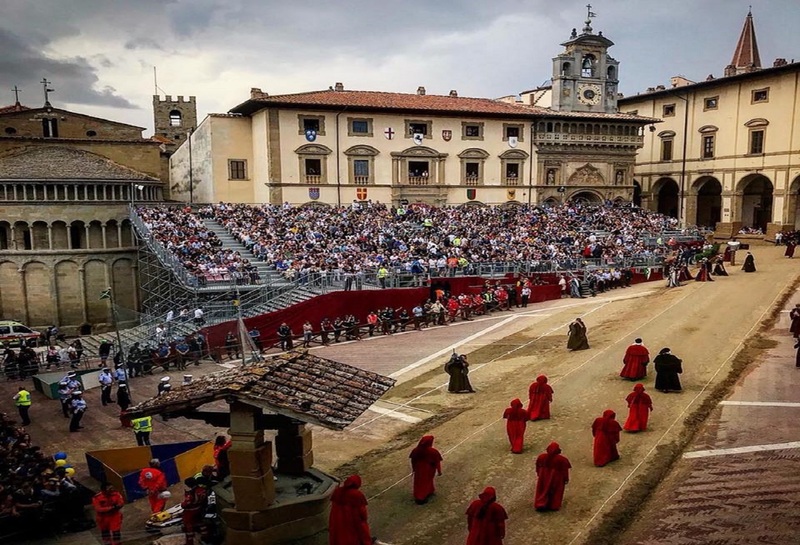 We will enjoy morning Tuscan market days, visit the famous Tuscan town of Siena (home of the famous Palio and magnificent Duomo), and experience amazing Tuscan cuisine daily. All along staying in the charming village of Caprese Michelangelo, sleeping within 100 yards of the house where the great Sculptor, Michelangelo, as born. 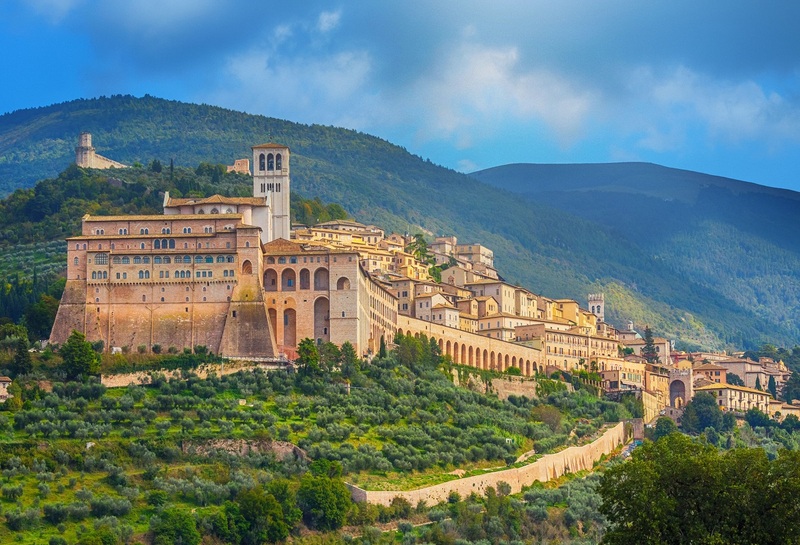 We will enjoy morning Tuscan market days, visit the famous Tuscan town of Siena (home of the famous Palio and magnificent Duomo), and experience amazing Tuscan cuisine daily. 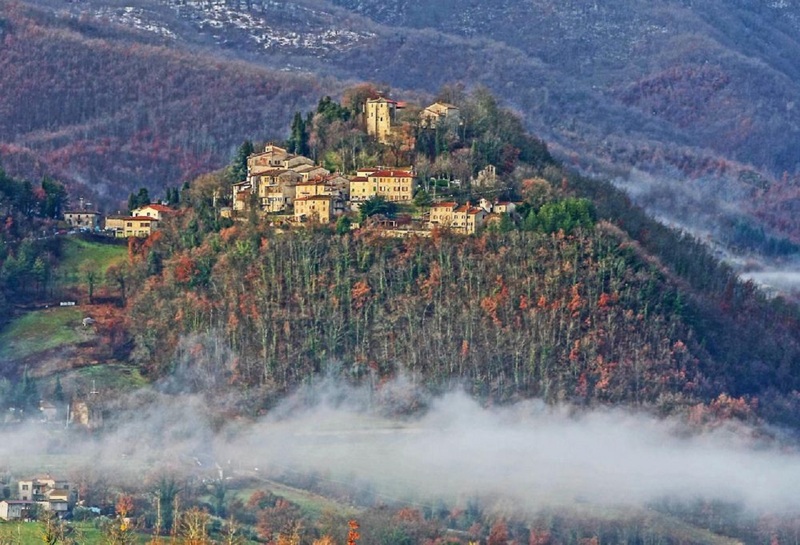 All along staying in the charming village of Caprese Michelangelo, sleeping within 100 yards of the house where the famous Sculptor, Michelangelo, was born. 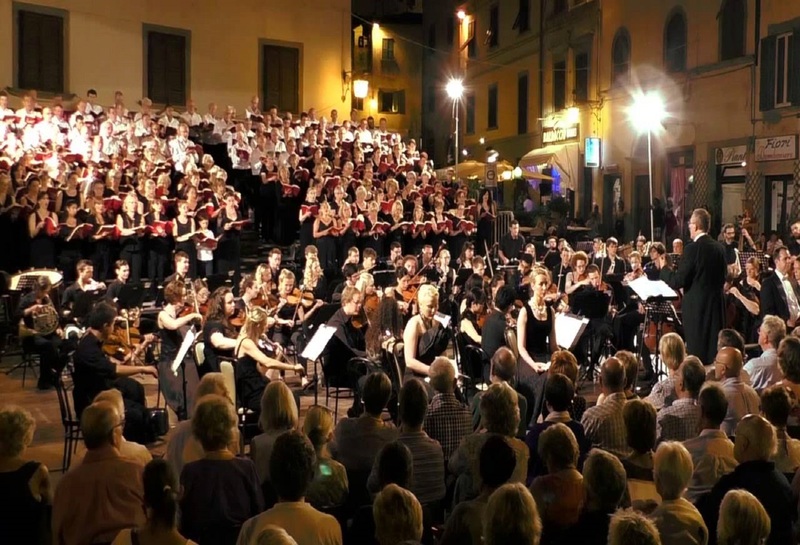 Each day will bring an opportunity to hear quartets, symphonic and chamber orchestras, choral arrangements, and soloists from throughout the world. 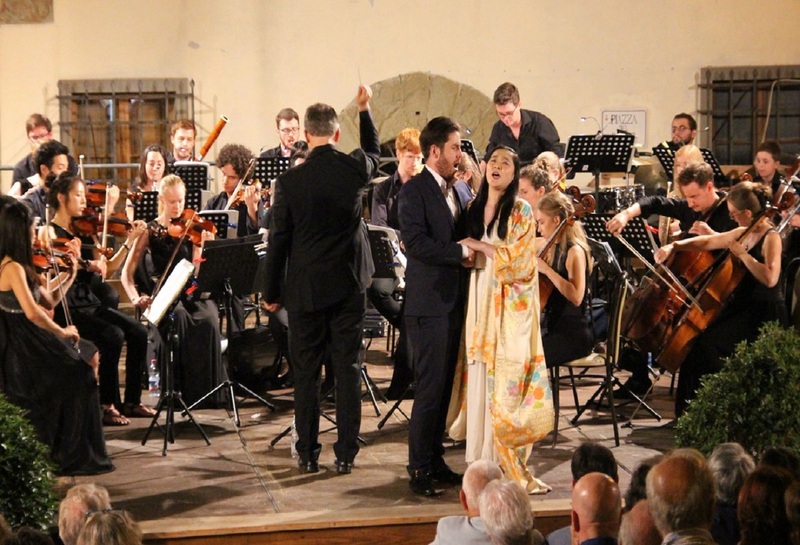 While many musical presentations will take place in the lovely piazzie of Anghiari, others will be located in Tuscan countryside locations such as churches and neighboring villages. 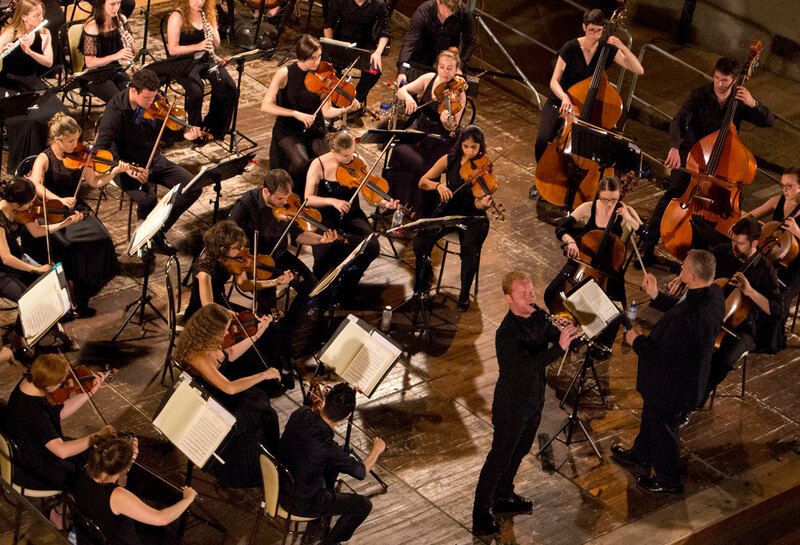 These outstanding graduate musicians from throughout the world are often available for personal discussions before and after concerts and can also be found exploring the wondrous Italian sites we will discover. We are not “tour operators”. 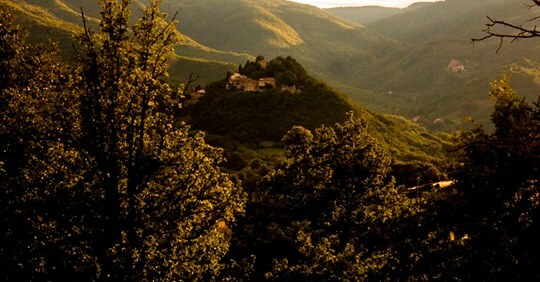 We are just a retired couple who lived in this area for eight years and know the magic of this music festival, this small area of Tuscany and want to share it with you. As a small group, we hope we can all experience this week together rather than getting lost in a large commercial tour. The vast majority of the towns and events we will enjoy would never be included on a large commercial tour. 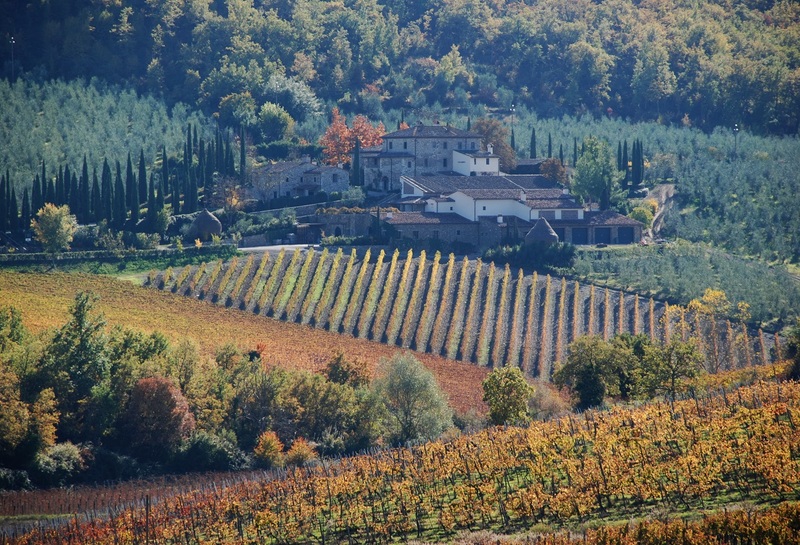 We want you to experience a part of the “real” Italy few know about. 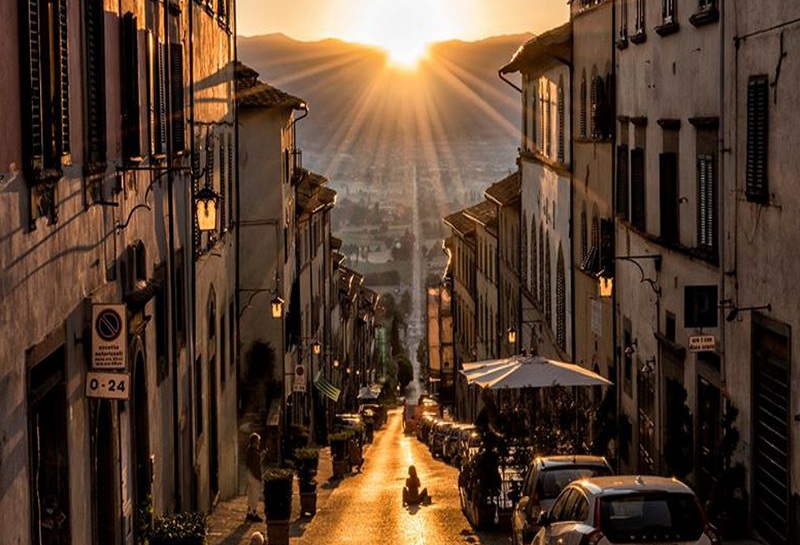 Beginning and ending in the magnificent Tuscan capital of Florence, you will be responsible for all your transportation (including airfare) prior to our meeting in Florence and following our ending in Florence. From the time we meet in Florence and we say goodbye also in Florence, we will provide all ground transportation (bus and train), all nightly accommodations, tickets to all music festival events, breakfast everyday and one daily group meal (either lunch of dinner). Traveling Solo? We can suggest a roommate so that you avoid having to pay the single supplement! Not ready to book? Got some questions? For more information and tour details you can email us directly, we are happy to help.